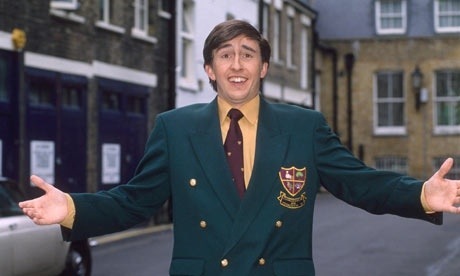 You’d be forgiven this evening if you’re an F1 fan to wonder whether Alan Partridge had actually won the FIA presidency earlier this month rather than Jean Todt. For those unfamiliar with one of the greatest BBC comedy characters!the fictional presenter Alan Partridge is so desperate to get a show on the BBC he comes up with a load of frankly terrible ideas for TV programmes including “Monkey Tennis”, “arm wrestling with Chas and Dave”, and my personal favourite “Youth Hostelling with Chris Eubanks”. Some of the moves from the FIA announced today are in the same vain. It is a sign of desperation that for 1 race of the year you’d get double points. That smacks to me of gimmickry, rather than highlighting the sport as the pinnacle of single seater Motorsport. Equally, having a career driver number for a drivers is completely unnecessary indeed, if that is the only way for some fans to be able to identify with F1, then I’d argue the sport is better without them. We’ve seen the global economic downturn affecting sponsorship revenue and F1 itself seems to be struggling for prime sponsors at the same time as Premier league teams are thriving. Quite what those in the FIA who are coming up with these ideas think they’re creating is beyond all of us (judging by opinions of fans and those reporting on the sport alike), but it’s very sad to see these token gestures spoiling what is a very serious sport, with a great deal of good professionals and historically a great deal of committed and knowledgeable fans. Let’s not cheapen the teams efforts, by taking the focus away from being a bona fide racing series. Why not address the challenges on the tyres, let the tech guys do their stuff in ’14, and pretend for a moment that F1 is about creating the best car, engineering the best setup, and great racers. Redbull have been the standout team for a number of years, yet it’s on Ferrari, McLaren, Mercedes and Lotus to come up with a solution. We don’t yet know how the engines will turn out in 2014, but perhaps the door will be open to a Merc or a Ferrari powered car to break the stranglehold. So let’s put these ideas back in the bad ideas box Jean. Or is it Alain Perdrix?